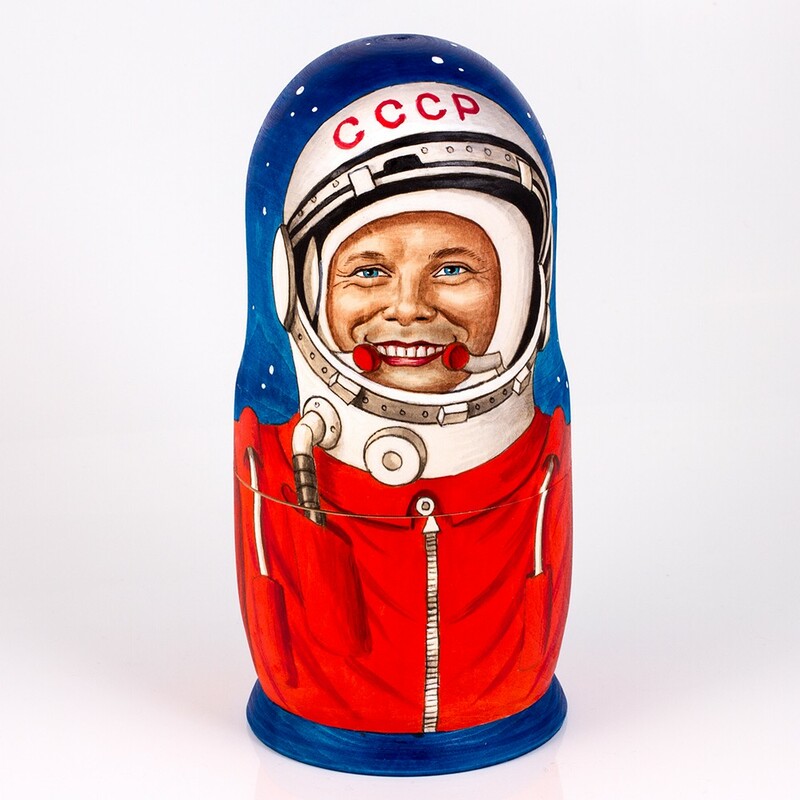 Original nesting doll depicts Yuri Gagarin who was the first man in the history of humanity to fly into space. He is still considered a national hero in Russia and his impact on the development of science is priceless. 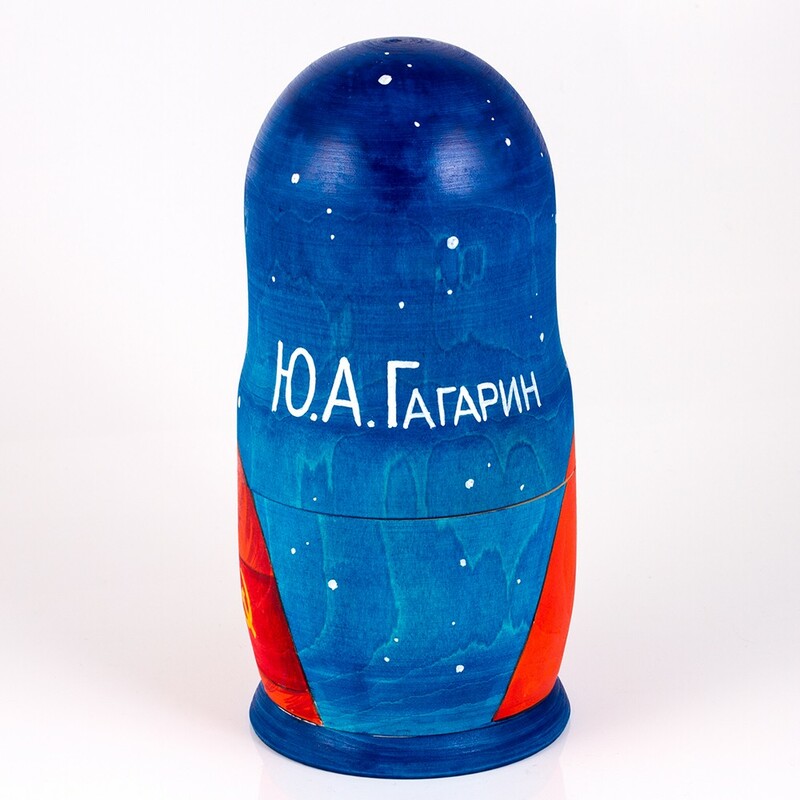 Matryoshka is of bright blue color, with every detail of the doll painted to perfection. 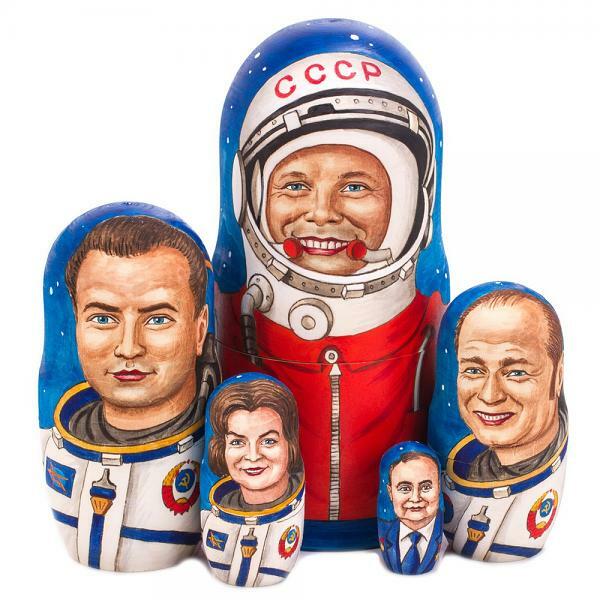 Other 4 nesting dolls depict USSR astronauts who also set their feet into the space which once seemed to be beyond the human reach. Russian Traditional Semyonovskaya Nesting Doll (Matryoshka), 6 Pcs, Height - 5.5"
Traditional Matryoshka Art Kit with Watercolor, 3 pcs, 4.5"
Gift Set - Russian Nesting Doll Matryoshka (5pcs) with Ceramic Coffee Mug "Khokhloma"